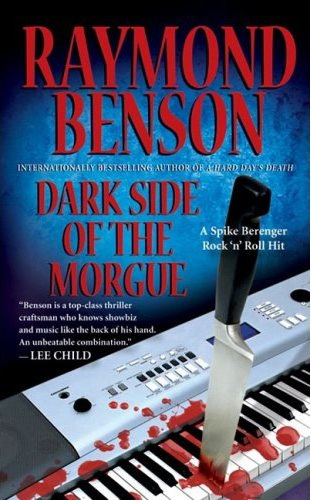 It’s not due out till February 24, 2009, but artwork for Raymond Benson’s next Spike Berenger novel, Dark Side of the Morgue, is now available for viewing. Obviously taking its title from the Pink Floyd album “The Dark Side of the Moon”, this will be Benson’s second novel in the series following A Hard Day’s Death which was released earlier in April of this year. Benson’s Bond anthology, The Union Trilogy is due out soon or.. is out depending on who you talk to. I’ve heard it’s shipping from Amazon.com though they list a November 4th release. Barnes & Noble lists it as October 28th. Should be cool anyway. 3 full Benson novels and the full uncut short story, “Blast From the Past”. I’ll probably get it for the the short story alone. Well, okay, I’ll be getting it for the short story alone. I have first editions of all his Bond novels and I’ve never read the uncut version of “Blast From the Past”.